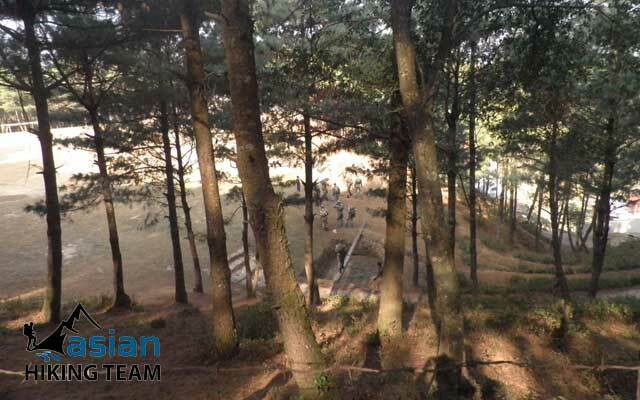 Chisapani Nagarkot trekking is the east side of Kathmandu. It is easy and short trekking or hiking inside forest, Nepalese inhabitants and the hidden valley. 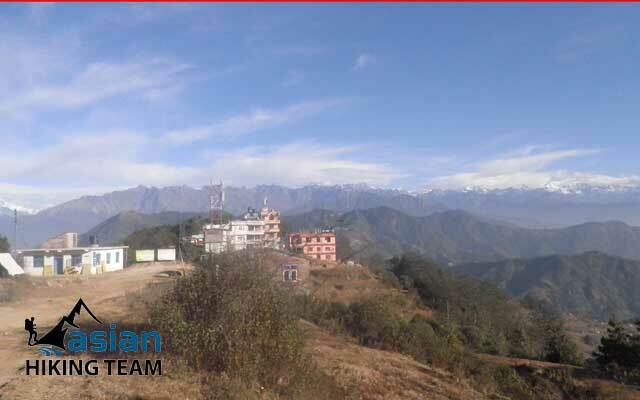 Chisapani means "cold water"; the sport is famous for the mountain panoramic view includes Annapurna to Langtang range and starting and ending point of Helambu trekking.Nagarkot is a famous place to see the mountain ranges and sunrise. It lies at an altitude of 2175 meters and is located 35 km east of Kathmandu. If the weather is good, one can see great views of theHimalayas including Annapurna, Manaslu, Ganesh Himal, Langtang, Dorje Lakpa and Gauri Shanker, Everest. The view from Nagarkot is like mountain flight. Once the sun begins to rise from behind the Himalayas, it looks spectacular as mountain changes its color. However, to see the sunrise, walk up you 4 o'clock in the morning. Dhulikhel is rich in plethora of cultural diversities, interesting traditional practices, lush vegetation and a rich bird life. It is a small town with a long history. According to the records it has been around for more than 500 years. The artistic skill and urban ethos of its Newar inhabitants have created a place of charm and beauty. Namobouddha situated at an elevation of 1750m is a very important Buddhist Pilgrimage located in Kavre district about 38 km east of Kathmandu. The Stupa and shrines built in this lovely little hill mark a very ancient holy site significantly enough where a legendary prince named Mahasattva offered he to a starving Tigress with its several underfed cubs. This legendary episode is depicted in a very nice stone slab and placed right next to a holy Stupa. Balthali Village resort is certainly not an ordinary place as many hotels and resorts have mushroomed extensively over the years. Balthali is a very simple, unconventional, yet comfortable retreat centre with full modern amenities of western style toilets and attached bathrooms, hot and cold shower flows freely and tasty Nepalese traditional, organic cuisine is served at large by the friendly, hospitable and smiling local staff. The bar is fully stocked with local wines and native brews. Driving you head of Thamel 40 minutes to Sundarijal, following water pipe inside Sivapuri National Park to reach Chisapani. The second day is a long day hiking to catch Nagarkot with enjoyable route, next day continue trekking to Dhulikel and end treks in Khopasi then drive back to Kathmandu by Tourist Coach. Highlight of Trekking: Short and easy trekking, panorama view of Himalaya, Hidden valley view, Green/brown mountain view, Sunrise/sunset view. Day 01: Kathmandu to Sundarijal 45 minutes drive; trek to Chisapani 2100m 4-5 hours, Overnight Hotel (L/D). Day 02: Chisapani to Nagarkot 2175m 6-8 hours, Overnight Hotel (B/L/D). Day 03: Nagarkot to Dhulikhel 4-6 hours, Overnight Hotel (B/L/D). Day 04: Dhulikhel to Navo Budhha to Balthali 5-6 hours, Overnight Lodge (B/L/D). 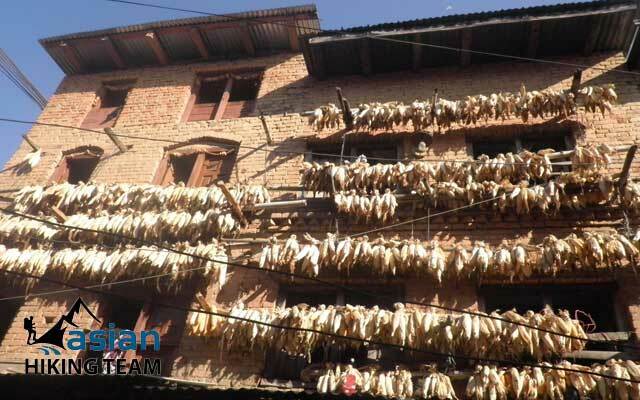 Day 05: Balthali to Panuti day hiking 3 hours drive to Kathmandu 2 hours, Overnight Hotel (B/L). 1 - 4 Pax US$ 420 per person. US$ 295 per person. 5 - 10 Pax US$ 388 per person. US$ 185 per person. Above 10 Pax US$ 340 per person. US$ 215 per person. Single supplement* US$ 150 per person. US$ 100 per person. * Deluxe Service includes 2-3 star hotel or resort in Nagarkot and Dhulikhel. If you want to stay 4-5 star hotel/resort in Nagarkot or Dhulikhel the cost recalculate. Single Supplement includes single room during the trip (4 nights). Accommodation during the trekking as best available Hotel. Two clients one Porter . Trekking insurance for all support crews and their daily wages, meals, accommodation. Day 01: Drive to Sundarijal & trek to Chisapani (2175m) (L/D). After breakfast in your hotel drive to Sundarijal (1350m.) by private vehicle about forty five minutes and trek to Chisopani (2175m.) which takes about four hours trekking. The unpaved road from Kathmandu turns into a trail near a small hydroelectric plant. The trail will enter through the Shivpuri Watershed and Wildlife Reserve. 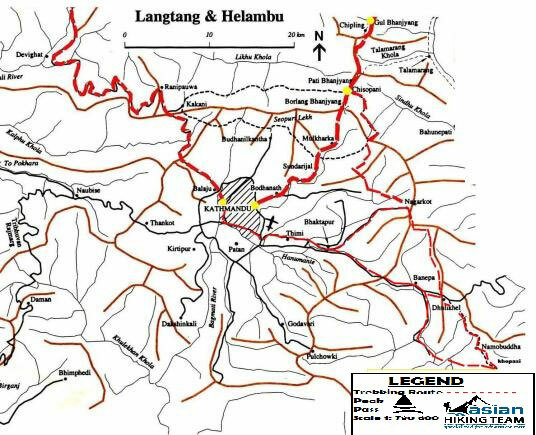 The first settlement we will come across is Mulkharka with Tamang habitants. The route heads down the ridge through a forest of oaks and rhododendron to Chisopani (2300m.) 4/5 hours. Day 02: Chisapani to Nagarkot 6/7 hours, overnight Hotel (B/L/D). Trek from Chispani to Nagarkot which takes 6-7 hours. In the morning you are attracted by the northern mountain views. Trekking path passing to Chauki Bhajang, whicg takes about 2-3 hours. You continue the chroming trails leading you toward Nagarkot. Nagarkot (2170m.) is by for one of the most popular touristic destination. In the clear weather the Himalaya ranges stretching from Dhaulagiri in the west all the way past Everest to Kanchenjunga in the east emerges from darkness to greet the happy visitor with its awe inspiring majesty and beauty, overnight Hotel. Day 03: Nagarkot to Dhulikhel 4 hours, overnight hotel (B/L/D). This trip is designed to provide you exotic feeling of being close in nature, villages or best described as rural Nepal and at the most it offers you awe inspiring majesty and beauty of dramatic mountain views. 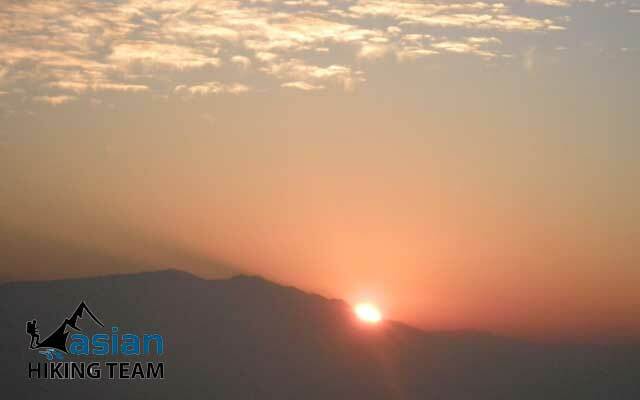 Early sunrise view at Nagarkot is the most fascinating and mesmerizing view. 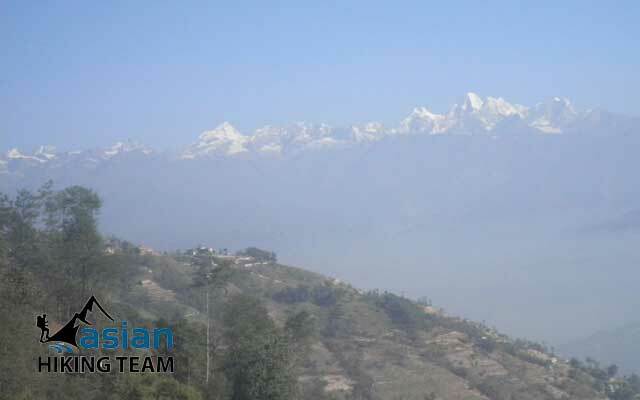 Dhulikhel is your next destination. Treading along the unexplored trails of Dhulikhel can be very exhilarating and enriching experience, overnight in Hotel, 5 hours. Day 04: Dhulikhel to Navo Buddha to Balthali (B/L/D). After breakfast at Dhulikhel, we walk to the Namo Buddha (1982m), situated on hill above Panauti. It takes about three hours to reach from Dhulikhel. There is an amazing legend related to the Buddha, which is commemorated by an ancient stone slab and a Stupa with the all-seeing eyes of Lord Buddha. Later, we walk another three hours and reach the enchanting Balthali village offering excellent mountain views at an altitude of 1,730m. Overnight in Balthali Village Resort. It is a very simple, unconventional, yet comfortable retreat center with full modern amenities of western style toilets and attached bath rooms, hot and cold shower flows freely and tasty Nepalese traditional, organic cuisine is served at large by the friendly, hospitable and smiling local staff. The bar is fully stocked with local wines and native brews. Day 05: Balthali to Panauti than drive to Kathmandu, overnight hotel (B/L). Today, we take leisurely walk to the thriving Newari village of Panauti. Panauti is wedged between the Punyamata and Roshi streams. Panauti forms the shape of a triangle with a serpent (naga) idol standing at each of its three corners to protect from floods. Pride of this place goes to the massive, three-tired Indreshwor Mahadev. Some authorities believe this to be the original structure that was raised here in 1294 AD, which would make it the oldest surviving Nepal. The shrine area at the sacred confluence called the Khware’, is one of those tranquil spots that can intercept a dreamer for hours. On the way one can have an opportunity to come across lovely temples and interesting old houses, particularly beautiful areas some fourteenth century wooden temple struts. Having taken about six hours on foot journey, we drive to Kathmandu. Note: The trek can be operated in both hotel or under the canvas on request, as well as being able to combine with some other activities such as white water rafting & Bungee Jump. All the itineraries are subject to change to suit your holiday.